FSA President Dave Kudro and Terri Smith. Terri Smith takes 1st!! Pam Nurnberger takes 2nd!! Both from the SWC District. Terri Smith, born on an Air Force Base in California, grew up in Michigan, moved to Leesburg, Florida in 2007 where she learned to shuffle. Roger Dodds gave her several clues and one cue and suggested after three weeks that she should begin tournament play. Bill Mynchenburg taught her to play well. She became State Am in 2010, won the Northern District Amateur Masters on the way to Pro status in 2011. Coming to Southwest Coast District in 2013, Terri came in 3rd at Mirror Lake in the International Singles, the only American lady in the top 4. In 2015 she placed 1st in USA-NSA Singles at Hendersonville, NC. Terri won the SWCD Open Masters in 2015 also. 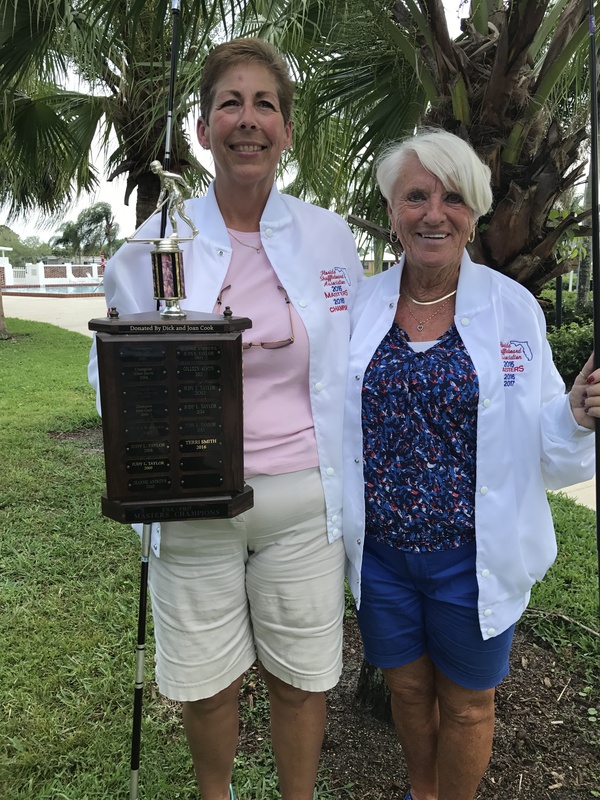 Terri has won the Florida Masters twice and was 1st Place in Florida Masters Roll of Championship in 2017 with 63 points. She has also won National Championships at Lakeside, OH and in Bradenton, FL. 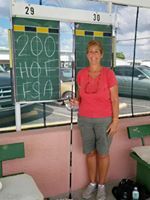 Terri thanks all her partners who helped her gain her 200 points for the Florida Hall of Fame. 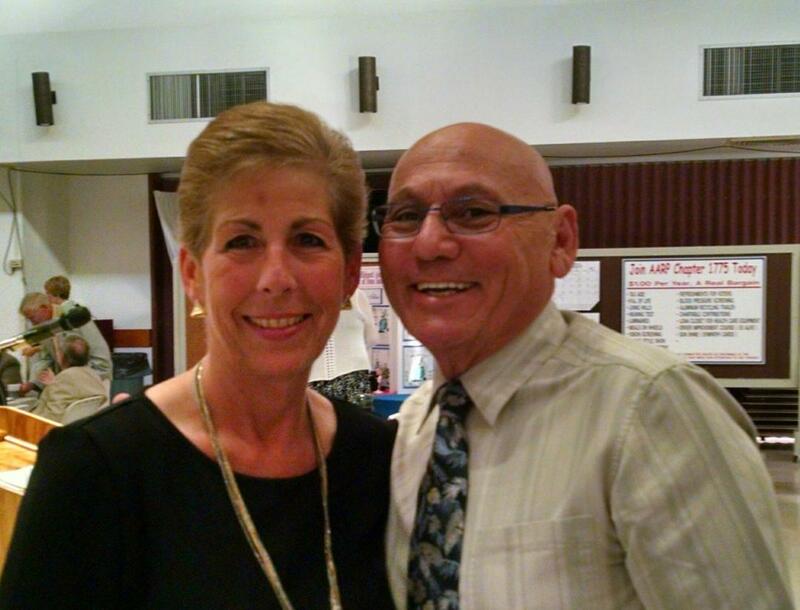 Dave Kudro and I join shufflers everywhere in congratulating Terri on her rise to stardom. FL P-21A DeSoto Open M/L Doubles, February 19 at Trailer Estates, 75 points. Ladies Main: 1. Pam Nurnberger and partner, 2. Flo Kowalewski and partner, 4. Bonnie Walker-Heather Godson. Consolation: 3. Terri Smith and partner, 4. Arlene McCague-Cheryl Putnam. Men Main: 1. Mike Marquis and partner, 2. Jerry Everett-Clarence Gingerich, 3. John L. Brown and partner, 4. Jim Miller-Ralph Lozano. Consolation: 2. Bob Kendall-Darrel Blake, 3. Ron Nurnberger-Larry Taylor. SWCD D-18 at Bradenton Tropical Palms ,Feb. 22, M/L Open Doubles, 75 points. Men Main: 1. Mike Marquis-Ralph Lozano, 2. Faren VanDeGrift- Dave Minnich, 3. Jim Miller-Jerry Everett, 4. Stan Kowalewski-John L. Brown. Consolation: 1. Darrel Blake-Bob Kendall, 2. Hank Hoekstra-Peter Berg, 3. John Roberson-Bob Comford, 4. Ken Maxwell-Jean Wilson, Jr. Ladies Main: 1. Arlene McCague-Cheryl Putnam, 2. Jill DeBruyne-Eva Mae Lake, 3. Shirley McCullough-Carol Maxwell, 4. Bonnie Walker-Heather Godson. Consolation: 1. Evelyn White-Cindy Slaughterbeck, 2. Adriana Cramton-Kathy Laver, 3. Sharon Olmstead-Patty Howell, 4. Dian Darrah-Don Sprague. SWCD A-14 at Bradenton Tropical Palms, Feb. 23, Any Amateurs/Any Doubles, 75 points. Main: 1. Don Trottier-Joe Sciortino, 2. Tony Souza-Jim Lessard, 3. Jeanie Felske-John Watts, 4. Charles Stannard-Dale Overzet. Consolation: 1. Rick Hall-Cheri Wargo, 2. Cathy and Ray Lawson, 3. Rita Marderosian-Sandra Kolasinski, 4. Lorraine and Thomas Nyenhuis. Today is the second day of FL P-22A at Tavares Open M/L Doubles, 75 points. Also the second day of P-22B at Lee County, Open Mixed Doubles, 75 points. Thursday, March 1 at Palmetto, SWCD D-19 M/L Doubles, One District Amateur Minimum on each team, 16/75 points. Lunch Available. Spectators welcome, Grandstands, you will see the most District Amateurs at any tournament this season! Next Monday, March 5, FL P-23A at Ft. Pierce, P-23B at Zephyrhills Betmar, Open M/L Doubles, 75 points. Also March 5, FL A-21 at Pioneer Village in the Central District, Any Ams/Any Doubles, 75 points.
. Reminder: Saturday, March 3 at Bradenton Shuffle Club, 1:00 p.m. Open District Board Meeting. All are welcome. Important Election of Officers, Discussion and Straw Vote open to all on 10-day notices to be voted on at State level in March. Your delegates need to know your wishes. Those voting from this Southwest Coast District include State President Dave Kudro, District President Jerry Stannard and State Delegate John L. Brown.
. Reminder: Save the dates of March 10-11 for Can-Am Games at Mirror Lake in St. Petersburg, Amateurs only, non-sanctioned, no points.
. Pros, State Ams, District Ams need to sign up your intention to play in the District Masters, if eligible. Deadline March 10. Easy to sign up at next two SWCD tournaments or notify Jo Miller. Sign up if you would play. If one or more of the top 8 do not play, next eligible will be invited to play, – if you have registered. 1 Response to John Brown’s Newspaper Report. 2018 02 28.